#savejamusic "The best thing to be right now is, Optimistic." That Snoop Lion conquest is certainly getting loud as the Reggae/Rapper presses on with the promotion of his 'Reincarnated' album, making a lasting impression with his new found love, Reggae/Dancehall music and the Rastafarian culture. As Snoop Lion extend himself, one foresee a platform created from which more Hip-Hop die heart fans can better understand Reggae/Dancehall music. Social media is buzzing with news daily from the various media outlets Snoop Lion has appeared and although some fans throw shade at the 'reincarnated' Rap icon, the awareness has surely been created. Snoop Lion's album now tops Billboard Reggae Album Chart as the publicity mill churn the news. Interestingly, the No Guns Allowed track on the album which speak to issues many local artistes sing about daily, has garnered interest even in the US political arena. The New York Daily said, the rapper lend his mellow voice to the ongoing debate over gun control. These discussions arise from debates such as reported in another article of NYDN, where writers Adam Edelman and Don Friedman pointed to, the harsh reaction some senators are facing in their home states for voting down new background checks on gun purchases, highlighting Senator Chuck Schumer's statement where he said, "One of the big changes, and one of the reasons that I am truly optimistic we will get something done, is that I am hearing support for gun safety in places I've never heard it before." 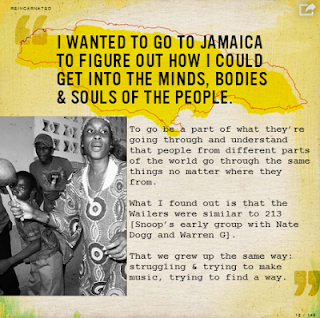 More kudos to Snoop Lion and his team. in good faith in the Jamaican music industry. In my view, their is an opportunity here to capitalize on. Getting the fans attention has swerved these days from traditional strategies. Aiming to break through and rise above the wonderful new digital tools that make it difficult to get noticed in this fragmented media market requires more than just a plea, it needs a voice. For those who doubt, words are tools of communication and not a substitute for action. To do nothing is the way to be nothing. Warrior King "Tell Me How Me Sound"
Several tracks from Warrior King's latest album, 'Tell Me How Mi Sound' have been receiving reasonable airplay locally. The tracks, "Melody" Stand Up in a di Fire" and "Empress" are of nineteen on the album, distributed by Tads Records. A video for the single entitle 'Melody,' has been released across all cable/tv channels. Warrior King recently completed the first leg of his "Sing Like an Angel" world tour, where he performed venues in New Orleans, Chicago, Texas, Arizona and Cleveland USA. Due to special demand, he is expected to return to the United States before heading off to Europe. 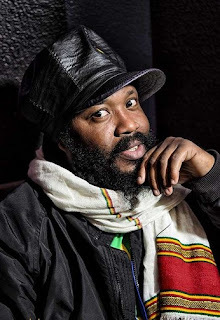 The second leg of the tour, commences mid-June through September where the 'Give Thanks and Praise' Reggae singer perform in Santa Cruz, Fair Fax, Orange County and Huntington Beach, California then on to Detroit and Michigan. In Europe, Warrior King will be making appearances, July to September in Germany, Italy, France, Sweden, Holland and Belgium. With the inclusion of the Mark Miller company responsible for international affairs, Warrior King has now got time to rekindle with fans at home. This is important to him and like every other artistes, being there, socializing and spending time with the people in the streets. Recently Warrior got a track called 'Love and Joy' with Canadian Rapper J-Rich, who is currently on the island shooting a video for it. The shoot, attracted a small crowd of residents from Top' and 'Bottom' Greenvale community in Mandeville who took the moment as an opportunity to reunite after years of on going dispute. This 'Love and Joy' single is also getting some good rotation on several stations across Jamaica. As Warrior King embark on other projects in his career, he is looking forward to upcoming performances in French Guiana, Merida, Playa del Carmen, Mexico and Chetuma Belize during the month of May before his departure to complete the second leg of his World Tour. New York, New York (May 1, 2013) Billboard recording artist Gyptian arrived in New York on April 17th, 2013 following his West Coast and Canadian tour. On April 19, Queens New York was graced with a live band performance by reggae superstar Gyptian who has not performed in the New York area for over a year. Entering the stage to a mass of screaming female fans, Gyptian made sure he gave his fans their monies worth. His encore performance of Hold Yuh pleased the crowd as he called on Ricky Blaze. 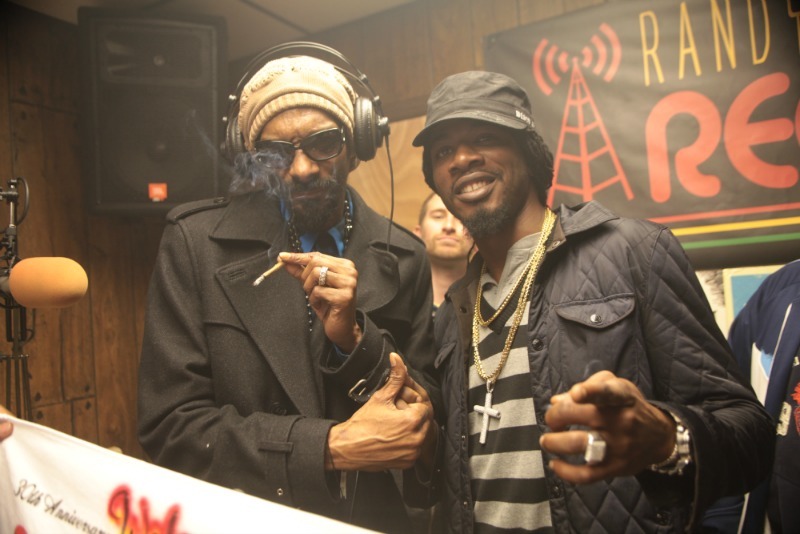 "The energy was great, it was a joy to just spit a few lines with Snoop and create history" said Gyptian. As Gyptian's latest single, Overtime garners international radio airplay, Gyptian shot a video for single, 'Whine' off his SLR EP. This video was directed by KR8 Films, Royal Ras and Humbless Production and is expected to premier in the upcoming weeks. Gyptian will shoot another video before heading off on tour in Europe, May 2nd. Canadian Rapper J-Rich who is currently in Jamaica promoting his new single entitled, "Love and Joy" featuring the island's popular roots Reggae artiste Warrior King said, "through my blend of Hip-Hop, Reggae and Dancehall I hope to leave a favourable impression on those who have come to hear my music." 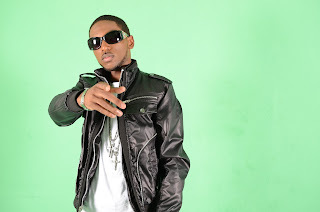 J-Rich began rapping 'just for fun' mostly in freestyle battles until he got an opportunity to record with a popular group in Canada known as 'Block 13 Kidz.' He was 15 years old when he opt out to go solo and recalled, "I recorded my first track, 'It's a Block Thing' in my basement using a hand-held microphone plugged into the mic jack for my PC." The twenty two year old rapper said the track was a collaboration he organised with a youth in his community who shared his passion for rapping. They recorded the song on a remixed Neptunes beat. The J-Rich/Warrior King collaboration is lyrically inclined to spread the universal message of 'Love and Joy,' "what's the sense if we ain't got love for each other?" J-Rich raps while Warrior King drives home the message in reggae style. The lyrics further suggest J-Rich is extending a hand, "take my hand lil man, greet you as my brother" to emphasize his point. Love and Joy is produced by Jam 2 Production. J-Rich will be spending some time on the island promoting this track as well as absorb as much of the positive energy of Reggae in it's home setting before heading back to Canada. The rapper who is best known for tracks, 'Tell The Brothers' and 'Stand Up' shot a video on location in Greenvale Mandeville, located south of the island as well as included scenes from some hot spots known to be major tourist attraction such as Lovers Leap in Yardley Chase Southfield and Jack Spratt Treasure Beach in St. Elizabeth. Manager Devon Richards said just by shooting this video, the love and joy message, "has already started to impact persons positively." This, resulting from a community divided for years by dispute, reunited by way of attending the shoot together. Warrior King who is glad to be apart of the project said, "when I got the track to do the collaboration my manager Steve Henry told me to write about love and joy and this gel with J-Rich's concept perfectly. The world need love and joy and we decided a roots rhythm would effectively carry across that message." Love and Joy has already garnered much airplay on several radio station across Kingston, as for J-Rich, "I feel that I've really waken up as an artiste and just now realize the potential I have to go after my dream."